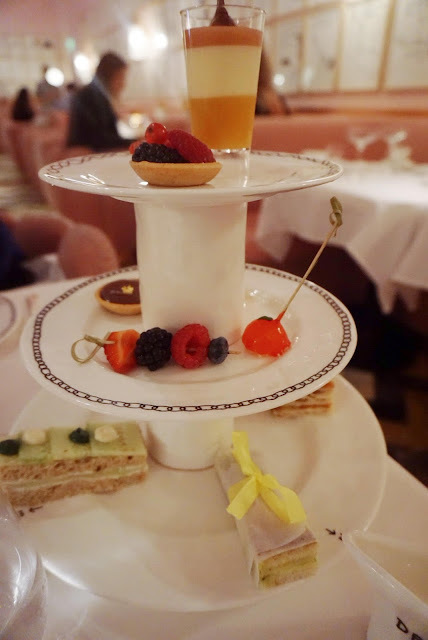 It's finally time to discuss our second afternoon tea experience in London, sketch. 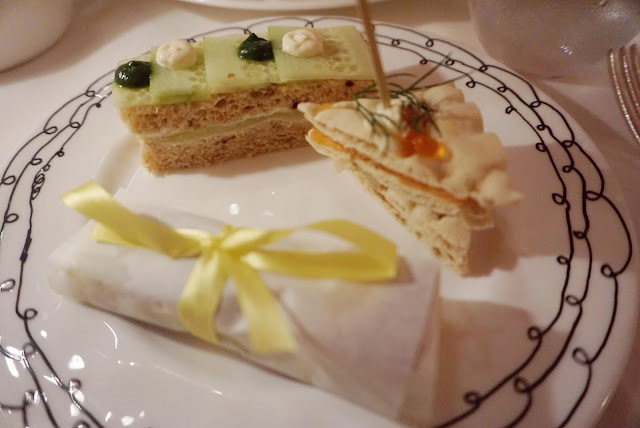 For a little background and info on our first afternoon tea, check out my previous post. As I mentioned, I wanted our second experience to be unique, and boy did I pick the right place! sketch is artistic, bizarre, surreal. An instagramer's dream come true. Afternoon Tea is served in a room separate from the restaurant, and is very hard to describe. 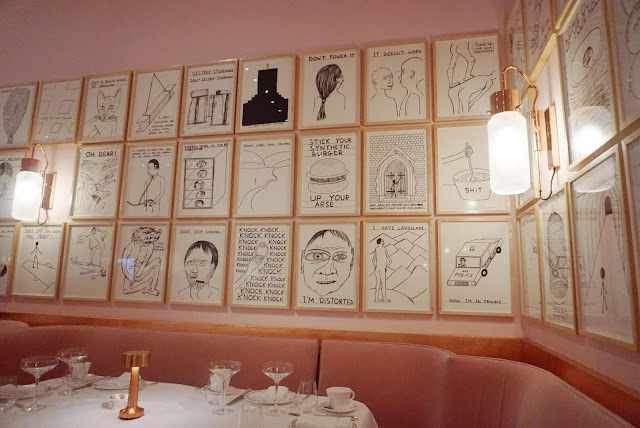 Pink is the dominant color, black and white portraits (sketches, I assume) line the walls. 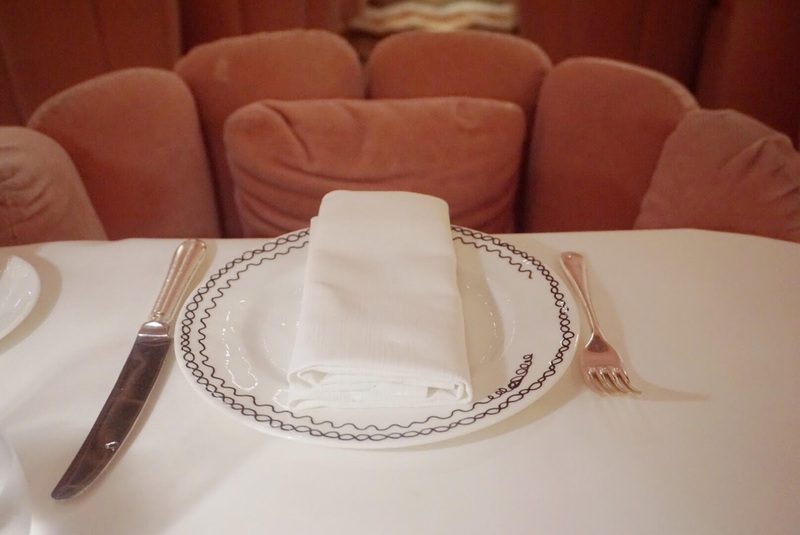 It's a mix of muppets, art-deco, Rene Magritte, Stanley Kubrick, and Sardi's restaurant in NYC. I've never said all of those things in a sentence before, but it's what comes to mind when I think of that room. 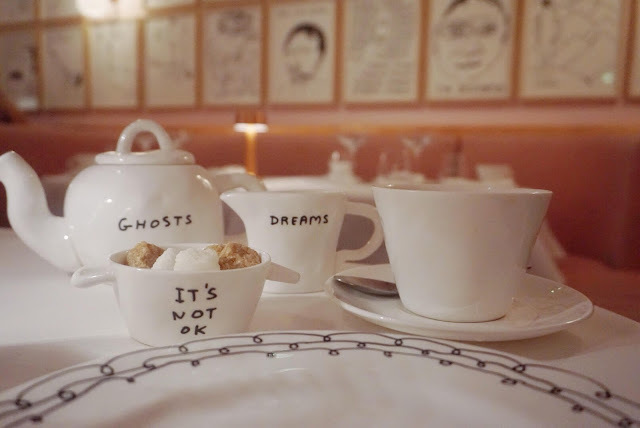 The place is so visually interesting I took more pictures of the decor and tea ware than anything else. Each sketch on the wall is different, and demands attention. The tea ware have peculiar words written on them, and beg to be photographed. The room is just so...pink and flocked. I realized later that I didn't get many shots of the food. 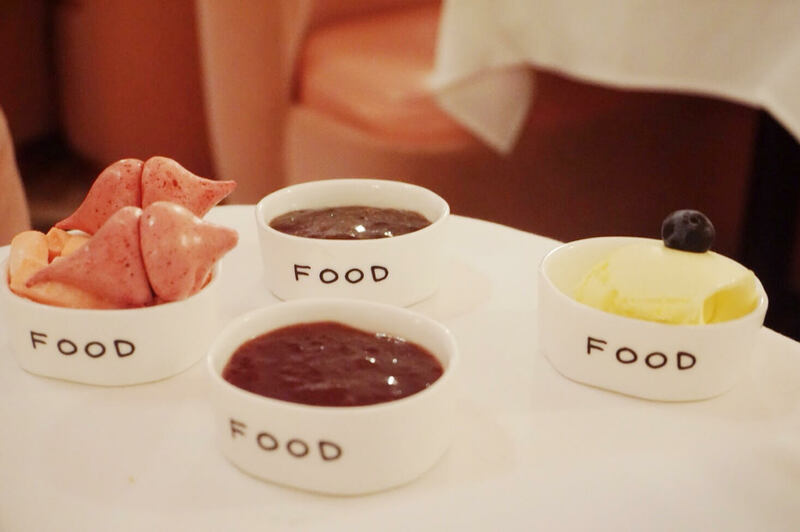 It was mostly due to focusing on the details of the place, but also because it was just 'food'. This room seems to demand something more. Service was attentive, and we were quickly given menus with tea and champagne choices. It was very tempting to have a few glasses of pink bubbly in this setting, but we decided to save the alcohol for later in the day. The tea menu has a nice selection, although heavy on flavored teas. 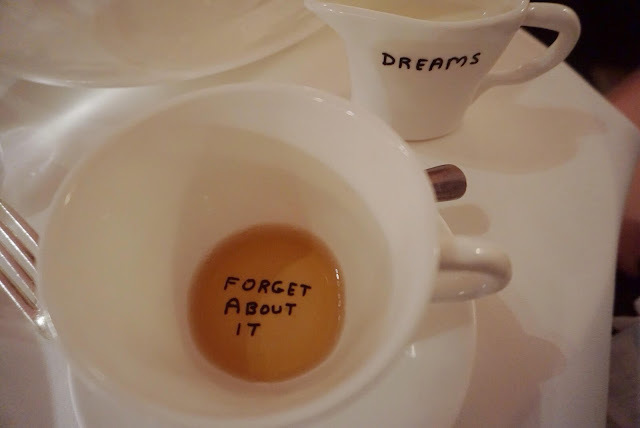 I chose a 2nd flush Darjeeling and was very satisfied with the choice. It was bright, floral and strong, a tea that held up well to the many different colors and flavors of the afternoon. 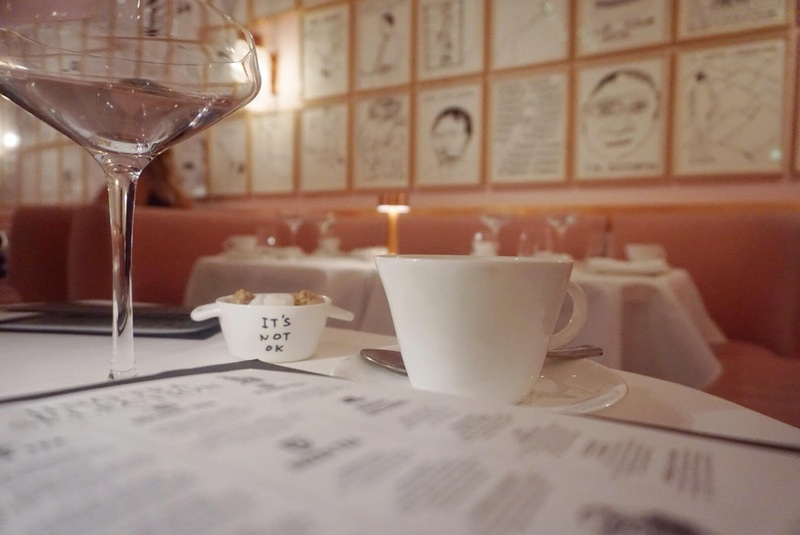 After having a delicious meal at Claridge's, the food at Sketch didn't quite hold up. It was still very good, and the quail egg and caviar sandwich was a standout. I also enjoyed a mozarella and pesto 'panini' that was heavy on the herbaceous pesto. I had room for a few bites of the sweets, and they were pleasant, but nothing jumped out. I think part of the problem is that I asked for sweets without walnuts but I think the server thought this meant all types of nuts. I was given a few sad skewers of fruit instead of some of the pastries. The food and sweets were quite fine, but they did not match the unique feel of the room and tea ware. I couldn't get enough of this pink, fuzzy place. Just when I thought things couldn't get any more peculiar, I decided to visit the loo. As I climbed a space-aged staircase I stopped short to take in the view. I think it's safe to say I've never seen another bathroom quite like it. It was as if I'd landed on a Dr. Who set designed by Stanley Kubrick with a 1960s atomic age aesthetic. 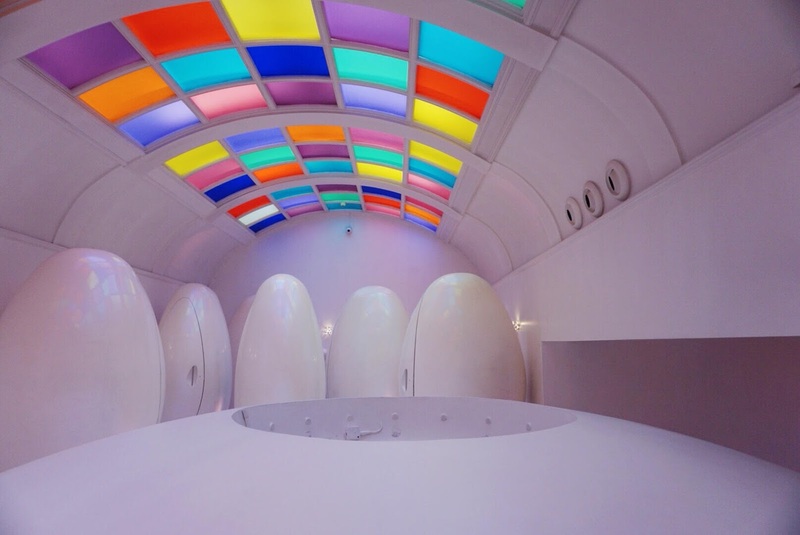 Toilet 'pods' grew out of the floor and once inside, felt strangely peaceful. Nature sounds were piped in, and it was oddly secure and relaxing. The bathroom area is so disorienting that there is an attendant making sure the women and the men end up going to the appropriate side. 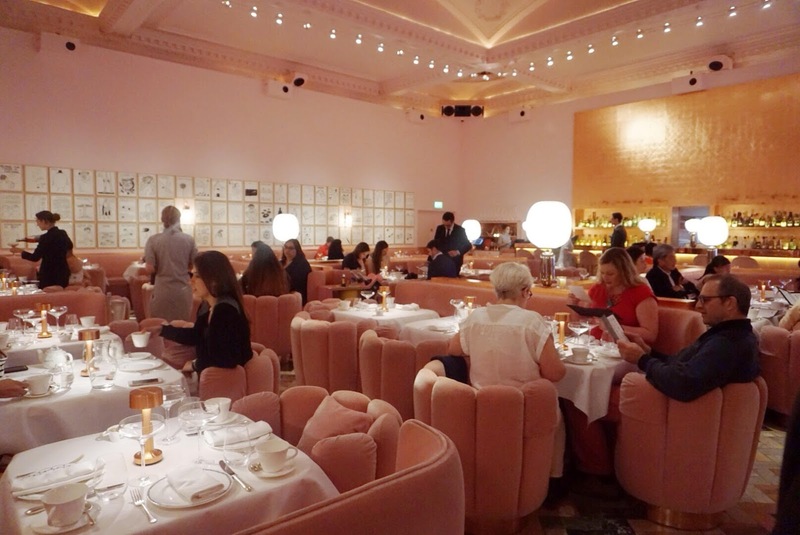 If you are planning a trip to London I'd definitely recommend trying out sketch for afternoon tea. The tea is very good and food is certainly acceptable. But come for the pink room lined with sketches. You won't forget it! A beautifully photographed post, the Kubrick is right on. I think they need one of Old Cwyn's nekkid tinkling Sheng cartoons. Thanks Cwyn! Agreed I think they do need one of your Sheng cartoons!